Depending on the area that you wish to cover, there is a choice between Carpet and Hard Flooring (Vinyl, Vinyl Tiles, Timber Laminate, Laminate or Bamboo). Carpets are made from different fibres. There is Wool, Nylon, Solution Dyed Nylon or Poly prop. All have a different feel and qualities. They come in Twist piles, Plush piles, Textured and Loop. Carpet is more cosy and luxurious under your feet. Hard Flooring is easy to clean and suitable for kitchens, living areas, dining rooms, hallways, and bedrooms. Laundries and Bathrooms are best suited with Vinyl, Vinyl Tiles, or Vinyl Planks. Your lifestyle can affect your choice: Children? Pets? High Traffic areas? Allergies? Colour? Texture? Comfort? Style? 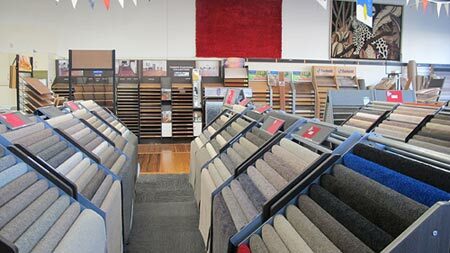 Come in to our showroom for expert advice.